This is the first MOC I brought out to the public (Malaysian Transformers Fans gathering: Transmy). Using mostly parts from Titan XP. Fort Max transform into a robot, huge base and interstellar cruiser. Unlike the original toy where the Headmaster figure is a humanoid mecha, I broke the norm having it as an animal instead. I made this after finding out my previous attempt were too huge , hence the articulation suffered. This one here is smaller but pretty posable. I ordered loads of grey parts for this purpose (in hope to make extra 2 copies of the Trailer to be sold off ebay) ! This one came with a Transformable Roller, too! among other improvements. Inspired by Powermaster Optimus Prime, which is one of my favorite G1 Transformers ever. A tank + A jet plane = a base... then finally a robot mode. Nuff said. My first experimentation with gestalt. Although it doesn't combine or separate into vehicles, this paves the way for more ambitious "combiner" projects. This Decepticon is arguably up there as the fan favorites of all the G1 Transformers combiner teams. So I built all 5 Predacon members beast modes that combined to Predaking. Looked familiar? Yes... it was on ebay for a few times but unsold. I love the cool color scheme of this Autobot, so I build him and again ... a new version few years down the road. Transforming into the future leader of the Autobots, this MOC was my first that made to brothers-brick.com, one of the most visited LEGO website out there. Starting this year, I began to improvise in many ways rather "recreating" Transformers and their toy counterpart . So this MOC not just transform into a dino, base and a mobile fortress... I cram in a robot mode too. This took me months and months of work. I build ALL FIVE Technobot members with transformation ability and then find ways to merge them. I kind of regretting not giving my best here though. Even the photo session seemed hasty and poorly organised. Transforming between a robot, helicopter and futuristic car mode... I think my obsession with building Triple Changer Transformers started at this point. Springer was also highlited in Brothers Brick too! The original toy was never a triple changer, however my newly acquired triple changer bug from previous MOC started to manifest itself here! King Grimlock is a iconic Transformer character transforming into a T-rex. My attempt here bestowed him an additional jet mode. This Triple Changer converts into a robot , aircraft carrier and a jet plane. 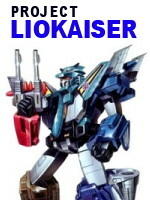 His original toy was loathed by many due to his brick-like appearance and simplistic transformation. Since this year's been quite and eventful year, I managed to produce just one MOC and did it in a very confined space, too. I'm back in business again! Blurr is a huge improvement over the one I built many years before. This is my first MOC after moving into a new ,cozy house. My "return" was frontpaged /highlited in www.seibertron.com, hell yeah! I finished this one weeks before the official Transformers : Dark of The Moon movie premiered. I liked it so much ... I found myself building a 2nd copy. I always tried to end each year with a bang (see past year's Victory Saber and Computron) and build "bigger" bots, like this one here. Due to the large amount of photos and it's getting more cumbersome to prepare my entry in mocpages.com, I started this blog and uploaded more photos of my build here instead. This MOC started as an impulse built from the dated Hot Rod many years ago. I bring him to the next generation with a sleeker sportscar mode , with a triple-function "trailer" befitting an Autobot Leader. And even Roddy himself have a third stinging mode. Photos of transformation sequence here. Inspired by the core transformation of my Lightspeed (Technobot) many years back. More photos here. More recent of my MOCs can be accessed on the thumbnails on the left side of this blog. I hope you enjoyed my write ups on my journey that spanned nearly a decade.